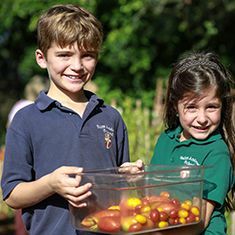 Saint Andrew’s School is a nationally recognized junior kindergarten (pre-k) through grade 12, day and boarding, college preparatory school in Boca Raton, Florida, in southern Palm Beach County. 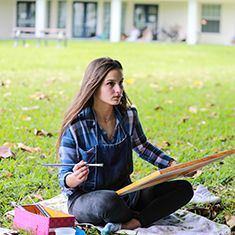 We offer a rigorous, private school curriculum that fosters creative thinking, opportunities to achieve balance, and experiences that build strong character. We are delighted to serve students from over 40 countries of multiple faiths and cultures. To achieve that ideal, a school begins with a solid and well-articulated mission. At Saint Andrew's School, our mission is to develop every child in mind, body, and spirit. This educational philosophy is truly distinctive to Saint Andrew's. By 2020, Saint Andrew's will be a leader in providing a unified academic community unparalleled in inspiring students to lead honorable lives of purpose and take on limitless opportunities to impact the world. Saint Andrew’s School is an Independent School founded in the Episcopal tradition. Our mission is to build a community of learners, provide excellence in education, and nurture each student in mind, body, and spirit. The centerpiece of the Honor System is the Honor Code, which states: “Honor Above All.” The Honor Code represents the highest ideals of moral development, integrity, sportsmanship, and achievement, as well as respect for the ideas, work, and property of others. It is designed to teach students how to live their lives honorably and morally to be successful in college and life. Saint Andrew’s School was founded by the Episcopal School Foundation in 1961. It is the largest independent, co-educational, Pre-Kindergarten-12, Episcopal boarding and day school in the United States. Schools in the Episcopal tradition are communities where spiritual and moral development are integrated with a challenging academic experience. Saint Andrew’s School is a proud member of the National Association of Episcopal Schools (NAES). “By 2020, Saint Andrew's will be a leader in providing a unified academic community unparalleled in inspiring students to lead honorable lives of purpose and take on limitless opportunities to impact the world.” View the Strategic Plan. From our beloved banyan trees to our campus lake, we are truly blessed to be located in such a magnificent part of South Florida. We invite you to visit our beautiful 81-acre campus to experience it yourself. Saint Andrew's campus is located in the central part of Boca Raton in a residential area. A city of all seasons, Boca Raton is home to five miles of ocean frontage and 39 parks covering approximately 1,080 acres. The city features palm tree-lined streets, luxurious waterways, eclectic shopping and dining destinations, and incredible Mediterranean architecture. 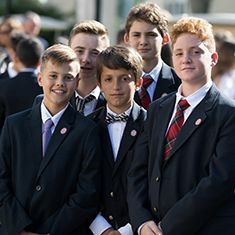 Saint Andrew's School began as a boarding high school for boys and was founded by the Episcopal School Foundation in 1961. Watch our History video. The Saint Andrew's School Board of Trustees is the guardian of the school's mission. It is the Board's responsibility to ensure that the mission is relevant and vital to the community it serves and to monitor the success of the school in fulfilling its mission. In addition to stewarding the mission, the Board is responsible for promoting the school's vision and for fostering a culture that embraces our core values of honor, integrity, respect, community, and academic excellence. 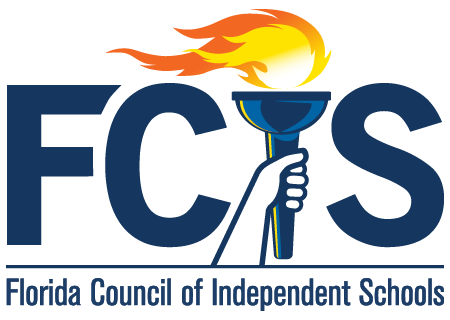 The Board is accountable for both financial stability and the financial future of the institution, engaging in strategic financial planning, overseeing operating budgets, and participating actively in fundraising. Members of the Board make a significant contribution to Saint Andrew’s School and its students. The vitality of the school depends on their commitment and caring leadership. Members of the Board are trust holders of all that is important to the life of Saint Andrew's.